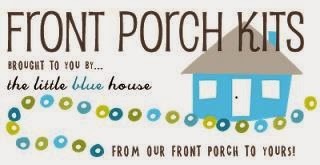 Well, it's time for TCP Tuesday and I'm your Hipster Hostess with the Mostess! 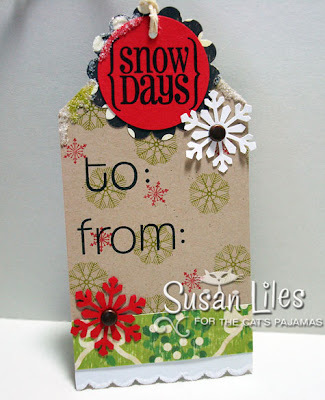 That means I have a stamp challenge for ya'll--Using only stamps from The Cat's Pajamas, let's make a Wintery card. That means snow, snowflakes, penguins or snowy sentiments added to your imagination will equal a wintery TCPTUES88 card or project! I have a few things to show you that fit that bill actually. I made this first little scrappy card with just some "extras" that were laying around on my desk that didn't quite work out for other projects (and they were bothering me, just sitting there!). 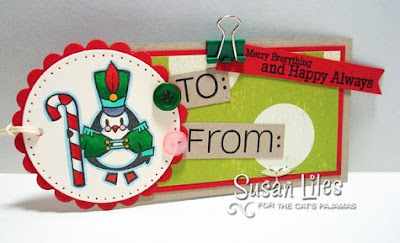 It's a very simple card, but I love the colors and the sparkly ribbon. The little sentiment is from Penguin Christmas from The Cat's Pajamas. 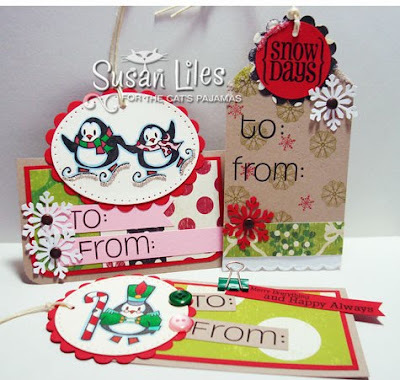 I also have these fun Christmas tags I did a while back. I used Penguin Christmas, Give a Little and the "cool" Coolvetica Alphabet on them. I love making tags and had to just really stop myself or I would have ended up with 29 of these puppies! So don't forget to get your TCP stamps out and join the fun! 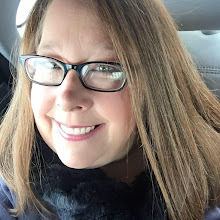 Anyway, lots to do today on my list and Tuesday also means I go help out in Audrie's kindergarten classroom and then tonight--yoga! I'll be exhausted tomorrow, but there is no end for all the stuff I have on my list until after we leave for Disneyworld! Come on December 19th! 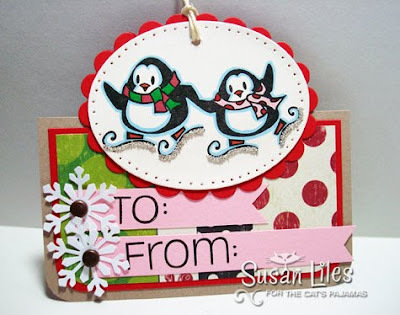 --If you'd like to also upload your piece to Splitcoast Stampers, use the keyword TCPTUES87 for this week. 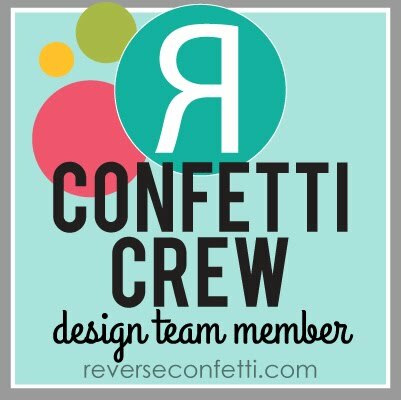 SUSIE Q-TIP: I've come to love my hot glue gun. The one I have is a Heavy Duty, Black and Decker Industrial strength gun that I've had for a long long time. It's really the envy of all the little baby glue guns out there. He's what they want to be when they grow up and he still works great. However, it's a big ordeal to take it out and get it going. 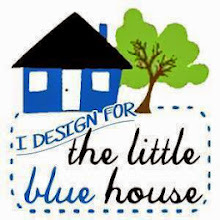 If your're still on the fence about whether a glue gun is a card making necessity, I'm going to go out on a limb without even having the experience of using a smaller gun, and recommend getting just the little ol' $2.50 Low-temp glue gun. I'm hoping Santa is good to me. I have a cheap little old 10 watt, no name glue gun. Had it for years, use it all the time. No problems. Just make sure you get one with a trigger. Some of the smaller ones don't have the trigger and you'll be hatin' life then. Good luck and keep up the nice work! These are all fabulous Susan! I love them! These tags are soo cute! 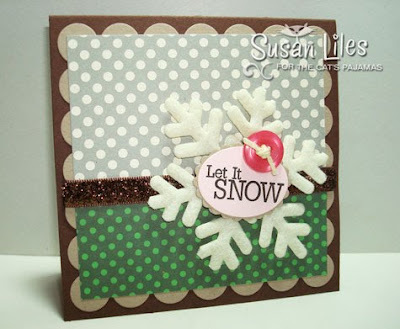 Fun challenge Susan and I just happen to have a few of those snowy Cat's Pajamas stamps! Wow girl!! Everything is wonderful!!! These are just wonderful! LOVING the way you used those super cute stamps.